gnome-control-center details panel shows the incorrect version. This merges the changes that were applied to unity-control-center to generate the version at build-time. 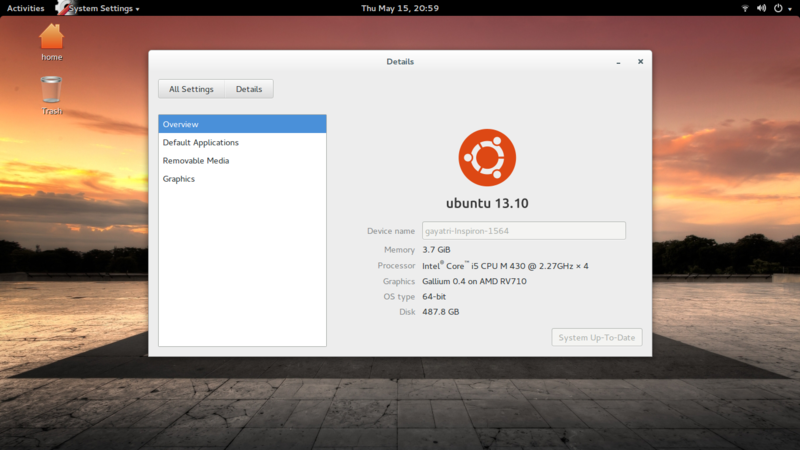 Also replaces Ubuntu logo with a GNOME logo. In the Details section of the System Settings it shows 14.04 as 13.10. It also should be the Ubuntu GNOME icon and not Ubuntu's icon. Isn't this bug a duplicate of bug #1281155 ? Ubuntu itself is OK ATM - see screenshot. Now also affects 14.10 daily builds of ubuntu GNOME. Accepted gnome-control-center into trusty-proposed. The package will build now and be available at http://launchpad.net/ubuntu/+source/gnome-control-center/1:3.6.3-0ubuntu56.1 in a few hours, and then in the -proposed repository. marking verification-done logo and version are now correct! will not update the logo and Ubuntu GNOME 14.04 LTS will still report "Ubuntu 13.10" instead of anything else. The attached screenshot is for the 49th machine I converted to GNU/Linux (https://t.co/ZvquPNLdjY) and I just checked my machine and it has the same thing still. I have not changed anything; same settings as both fresh new installations and NO PPA is added. I also noticed the fix after enabling the proposed. 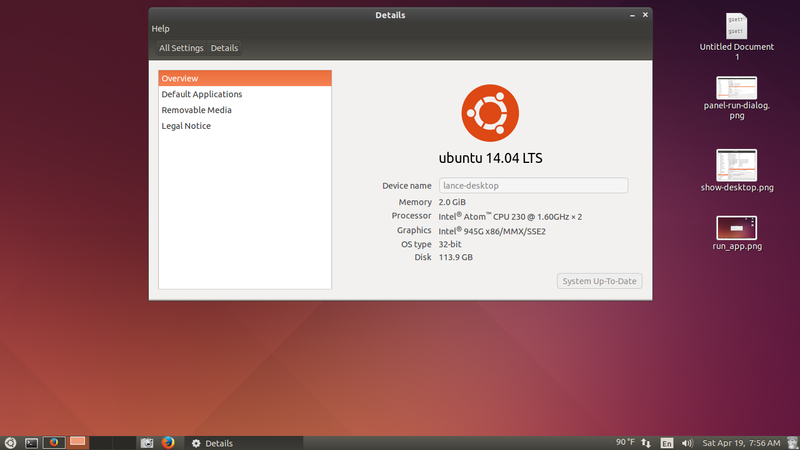 The gnome logo and the proper 14.04 LTS shows, fixes this bug for me finally. The verification of the Stable Release Update for gnome-control-center has completed successfully and the package has now been released to -updates. Subsequently, the Ubuntu Stable Release Updates Team is being unsubscribed and will not receive messages about this bug report. In the event that you encounter a regression using the package from -updates please report a new bug using ubuntu-bug and tag the bug report regression-update so we can easily find any regresssions.